1) Review this Powerpoint to help with studying for the exam. 2) Make sure you complete the packet due by 5/28. on the American West and studying your notes. 2) Keep working on your Review Packet. It will be due before 5/28. b) Who were the exodusters and why did they move west? c) What ways did the Natives attempt to resist? d) Discuss the importance of the Buffalo to the Natives. e) What effect did the railroads have on the American West? Who was helped and hurt? f) What inventions and innovations transformed the American West the most? 2) Enjoy Prom. Don't think about history until we come back to class! the mood, watch the Crash Course video on the US West and answer these questions. The good news is this is the last historical area we'll cover this year! remainder of this week developing questions, making cards and reviewing the game rules. Be ready with your ration cards and 10 (or more) questions based on the Civil War Era Terms. Remember the game starts at 9:10 each morning and ends at 4:20 each afternoon. to tally the points. Please follow the rules and know your terms. 1) Watch the Crash Course on Reconstruction and answer the movie questions. your ration cards and your 10 (or more) questions based on the Civil War Era Terms. A list of officers for all sides is posted here. Congratulations to all. Good Luck organizing your squads and above all, have fun. 1) Read Chapter 12 Section 2 on Reconstruction Society and answer the Big Idea Questions. 2) Don't forget the MAJOR Antebellum thru Reconstruction test next class! picture which highlights that you know what it means. War Game Starts on TUESDAY 4/24 so make sure you get your armband before class! Have your ration cards and questions ready! Big Idea questions A-B. Then answer questions 1-2 at the end of the section. quiz so please take time to ABSORB what you're looking at! the Quarter! It's a heavily weighted test and if you're telling yourself "You've got this"
watch what happened to this overconfident driver. 1) Study for the test next class. Use the following set of terms. Seriously, Study them. guidebook in the business. Then answer the questions at the end of the reading. Grades are final as the quarter closes right afterwards so don't miss this assignment! 3) Please be ready to show you know the terms in Bold Green below on a formal grade today. 1) Watch the following videos of the American Civil War. #1 and #2 Answer the questions. and largest quiz of the quarter. ensure an GOOD GRADE. A flyer is here. 1) Read the Textbook section on Ch. 11 Sect. 2 Civil War and answer Big Idea questions (ALL). you take today in class! 2) Finish reading the Union & Confederate Advantage handouts and fill out the attached chart. 1) Read the Textbook section on Ch. 11 Sect. 1 Civil War and answer Big Idea questions A-G. Seriously, take the time to read the text. You be glad on the quiz you take today in class! you have been doing much better 3rd Quarter. Thank you!!! some math. Score well. No homework. But you may want to get started on next class... hint. 1) Complete the following handout in advance of the test today on Antebellum Events. ways to cover the information. Once you read it, you'll find it's far easier than your textbook!!! 2) Complete ONLY section 1 and section 4 of this Civil War Study Guide. test on the Antebellum terms next class! A-E. Seriously. We will start with quizzes. Collect an easy grade. Questions A-E. Then define the terms in question #1.
want to miss this assignment-- Trust Me as the test will be EASY if you did it. 2) Read the following Study Guide ... It is the best resource available for American History 1. 2) Watch the short video on Mr. Jackson and answer the following questions. 1) Read text pages Ch. 7 Sect. 3 (pgs. 224-229) & answer Big Idea Questions A-D.
1) Test today... Manifest Destiny, Reforms, Sectionalism! I'd study. Jackson week starts today! 2) List of illustrations used to discuss Expansion and Manifest Destiny Here. 1) Watch the following video about US Expansion and answer these questions. 2) Complete the pictionary assignment for the expansion terms. 3) The expansion test is the first test of the new quarter. Study. 1) Complete the Map and worksheet showing the territorial additions to the USA. brother if you have to but make sure you put them back when your done. 2) You can view this map online to see how the nation grew. It's pretty good. addition is critical to you doing well on today's quiz! something... its only 3 minutes but your grade will last forever. midterm. Remember, you can be a either a Shining Example or a Horrible Warning. Study! 1) Read the following section on Women - Reform & answer Main Idea Questions. A-D.
2) Complete this review activity before the Midterm! the midterm. You may skip the section on Andrew Jackson. It'll find you next semester. 1) Fill in the handout with information on reforms. 2) If you need to refer to the chart we used in class for reforms, look no further! 3) Watch the following Crash Course video and answer the following questions. change. Then answer the Main Idea questions A-E to show you got it! are so reform minded, even today. Then answer these questions. should know for your midterm exam. college application so put some thought into it. It's only 1 page, so don't fret. was doing to keep up. Then answer the Main Idea Questions A-E.
were have been thinking in a male dominated society. Please come in prepared to discuss it! Washington to Monroe. Then fill in their accomplishments on the following handout. 1) Scores for the test will be posted within 24 hours of the test. the Big Idea questions A-E and define the vocab in Question 1 at the end of the Chapter. 1) Study for the test today. question 1 at the end of the section. 2) Complete the following handouts on the War of 1812. 3) Watch the Crash Course US History on the War of 1812 and answer these questions. terms from section 3 as you read the text. 2) Watch the Crash Course on Jefferson and answer these questions. vocabulary terms from section 2.
cannot copy it from a peer. Yes, I have a way to verify you did the work yourself. 3) Watch the following video about the Early USA and answer the attached questions. the holidays, enjoy this 2 minute video. By the way, Star Wars comes out this December. a) What did the Judiciary Act of 1789 actually do? b) Who were the members of Washington's Cabinet and what were their roles? c) What were the 4 parts of Hamilton's economic plan? d) Why did the location of the US Capital move from New York to Philly to DC? e) What was the effect of the Whiskey Rebellion? is probably watching. Next time somebody asks you WWJD... you can tell em: HOMEWORK. 2) Finish the second part of the AOC video and answer these questions. a) How many states ratified the A.O.C? b) What did Washington fear? c) Who was the USA's ambassador to France? d) What three things did Congress need to do to win the war? e) What event lead Maryland to FINALLY ratified the A.O.C? Comparison chart of the Federalists and Dem-Republicans. It's from a new group and does an amazing job of explaining the events we are discussing. To be sure you actually understand it, answer these questions AFTER VIEWING IT. a) According to the speaker what type of government does America create? c) In the summer of 1776 what three things did the Continental Congress do? d) Who created an early plan of union which was thrown out? e) Who wrote Letters from a Pennsylvanian Farmer? f) Under the A.O.C how the new government would be funded? g) What is the GREATEST American city? expect to be quizzed just in case! be a heavily weighted assignment which requires some thought. Please get it done on time. for those of you curious enough to wonder if the new United States will make it. ​​​ Due for Wednesday 11/8 and Thursday 11/9 American Revolution Test??? 1) Hopefully, your test is today, so make sure you have studied and prepared your notebook. on the test. Remember, Luck favors the prepared. Due for Monday 11/6 and Tuesday 11/7 American Revolution Test or Review ??? 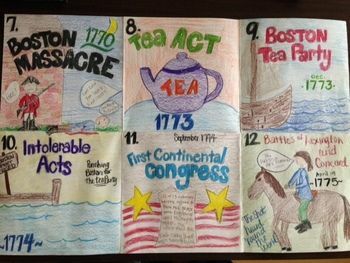 and the American Revolution itself, with a few review questions from the colonial period. definitions should demonstrate you know the term. 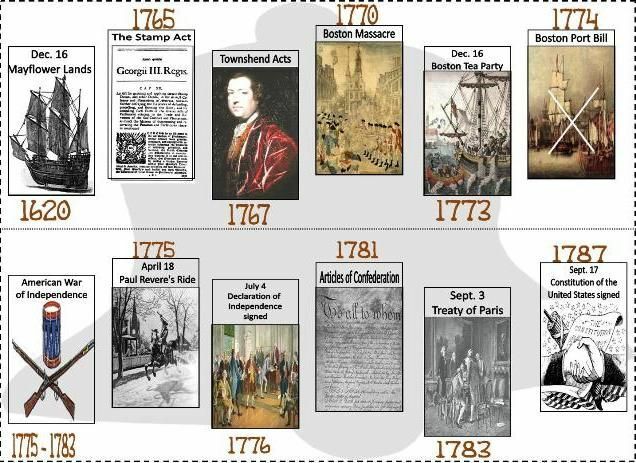 2) Try this quiz on the American Revolution. clear you watched the ENTIRE video. A good guide will be usable by your classmates. 2) Complete the Chapter 4 section 2 reading and answer the main idea questions. them up all night. ... Or let them play this and film it. the terms for the test next week. 2) Complete this handout on Samuel Adams, a controversial hero of the Revolution. get from class today. It's the difference between an Honors grade and just getting by. good enough for a classmate to use. A sample might look like this or this. 2) Watch the following Crash Course and answer these questions. your chance. Anyone scoring below 75% may want to fix their grade as the quarter ends! ends so please study! Pay particular attention to the Stono Rebellion... it's on the test. AND questions 1-2 at the end of the section. 3) Watch the following short video on the 7 Years War and answer these questions. 1) Watch the following two videos describing the importance of the French and Indian War. professor who teaches this way? 2) Complete pictionary for the following 7 Years War terms. 2) Complete the attached handouts. needs to show you know what the term signifies. end of the section. PLEASE READ IT and MAKES SURE YOU UNDERSTAND IT! I will take it up to Friday. After that, all bets are off. We have to change. 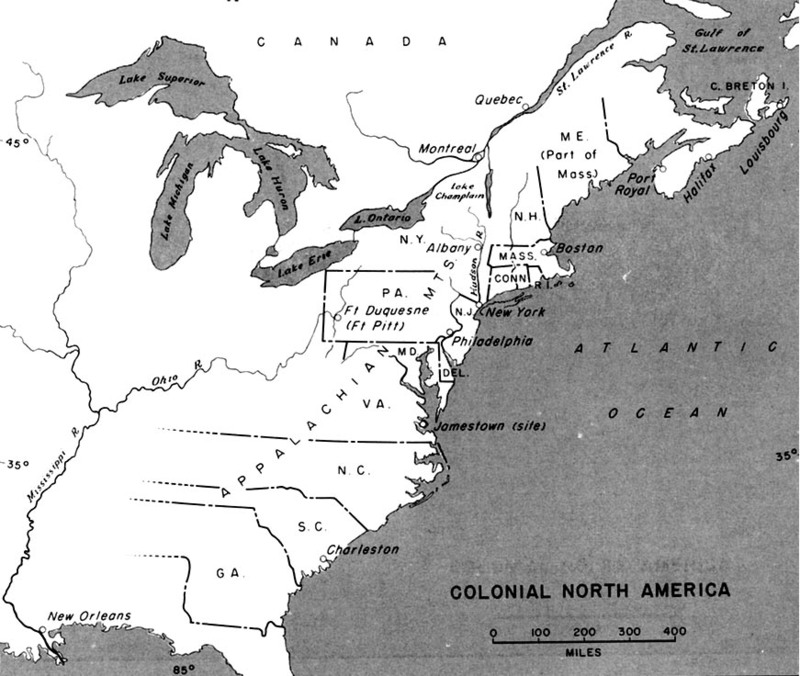 2) Finish these short handouts on Northern and Southern colonies. superb video by a teacher on those differences. It's really short but packed with info. 1) Watch the following video by a great SC teacher and answer the attached questions. No, you cannot switch him for me because he is smarter and better looking. Sorry. 2) Read the following textbook section on the middle colonies. Answer Big Idea q's A-C.
to the information as it will be central on the test on Mon. 10/2 and Tuesday 10/3. 1) Read the following textbook pages and define the vocabulary on Pg 54 in "The Americans"
2) Answer questions 1-4 on page 54. Be able to explain your answers in class! histories. Your challenge is to design your own colony which would avoid similar disasters. quite difficult so seize the opportunity to earn a good grade on one which you control. Don't be afraid to look up what other forts look like OR ask an adult for advice. D) List of 5 large items to bring. Assume 1 animal includes both a male and female. E) Choose and JUSTIFY your selection of location A, B or C.
I will grade it carefully so please don't turn in something from middle school and call it a day. it after finishing the assignment/test. 1) Enjoy a rare homework break. Walk around in the grass without shoes. Pet a kitten. Tell your little brother/sister you love them, even if you sometimes don't. They won't know. 1) Read Ch. 2 Sect. 2 (Pgs. 42 - 47 ONLY) about the English founding of Jamestown. narrator as he talks faster than the average Southerner. can do a fun mapping activity that explains immigration in the British Colonies. 3) Don't forget about the Rho Kappa Honor Society meeting after school at 4:25 on Tuesday! of the New World. Learn about it! answer the video questions at the end of the video on a sheet of notebook paper. sides of the pages in the reading. we can talk about the NYC Yankees and stuff that makes people sad. 1) Read the following article & answer the questions about Columbus' arrival. 1) Memorize the following names and locations within the 13 Original US Colonies. 3) Return your signed copy of the Syllabus and your completed student Info sheet.